This is a great seed for people who do not like spending too much time hunting for stuff. The spawn location has more than enough stuff to keep you busy without having to move! 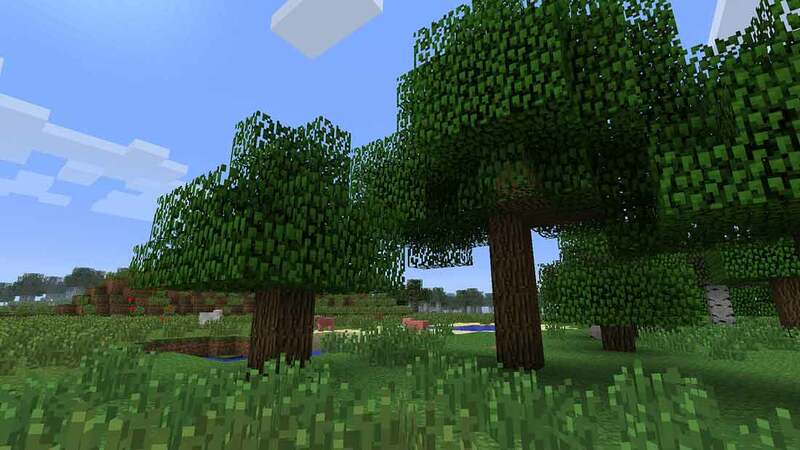 From the spawn you will find a mushroom biome that is connected to a stronghold and ruins. You can see part of it exposed in the image. To the right then there is a village. Easy place to setup base camp while you go off huntin through the ruins. Once you get through all of the structures at the spawn location, there are a bunch of other cool things for you to check out. You have an ender city and everything! All of the coordinates are written below. 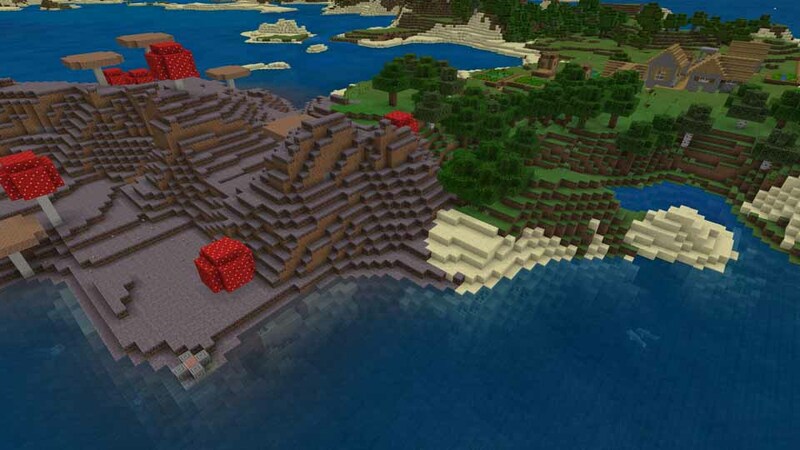 Credit goes to TelepathicGrunt for finding this seed.